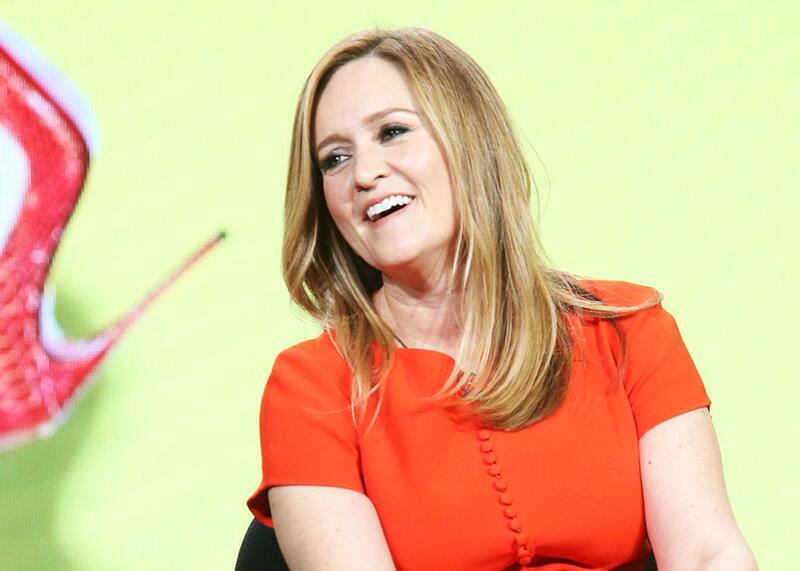 Full Frontal With Samantha Bee, reviewed. In her debut, Bee at once embraced and impaled the gendered expectations around her show. It’s hard to imagine a better start. “Is it hard breaking into a boy’s club?” That was the second sentence uttered on Full Frontal With Samantha Bee, the new weekly late night political comedy show that debuted Monday night on TBS, hosted by former Daily Show correspondent Samantha Bee. The question was part of a pretaped bit sending up the particular position in which Full Frontal finds itself, as the only current late night show hosted by a woman. Full Frontal faces all the difficulties of any new late night show—it has to find its voice, its humor, its groove, and its audience—as well as the additional burden of being the only one of its kind. It is a late night show, and it is a symbol, and that symbolism can obscure the hard work that goes into it, no matter the host’s gender. In the opening segment, reporters peppered Bee with questions not about her new show, but about being a woman with a new show. “What’s it like being a woman in late night?” “How can I watch your show as a man?” “What’s it like to be a female woman?” “What did you have to do differently to make this this show a reality … as a woman?” Bee replied to that last question by saying, “You know what it took? Hard work, a great team, and maybe just a little bit of magic.” Cut to a whole lot of actual witch-y magic, with Bee on a stake, looking liked a possessed poltergeist. It was a great opening: sharp and surreal, owning gender’s importance to Full Frontal, while also complicating it—acknowledging and impaling the gendered expectations surrounding it, all while being very funny. If Full Frontal were going to be on every night, I would say, unreservedly, that it had a fantastic beginning. It seamlessly did in its first episode what The Daily Show With Trevor Noah has had a hard time doing for more than four months: altering Jon Stewart’s M.O. to reflect the interests and passions of a new host, while maintaining enough of Stewart’s intelligence, fire, and aggravation to keep the show urgent and scathing. But Full Frontal will only air once a week, and nothing about Bee’s first segment, sharp as it was, seemed suited to a weekly program. If Full Frontal is going to play off the news so directly, it will feel like a daily late night show that is, inexplicably, off the air four nights a week. John Oliver’s Last Week Tonight, another weekly show, has wisely and successfully gotten away from the day-to-day news cycle. Full Frontal will have to figure out a way to do the same, but it’s off to a promising start.